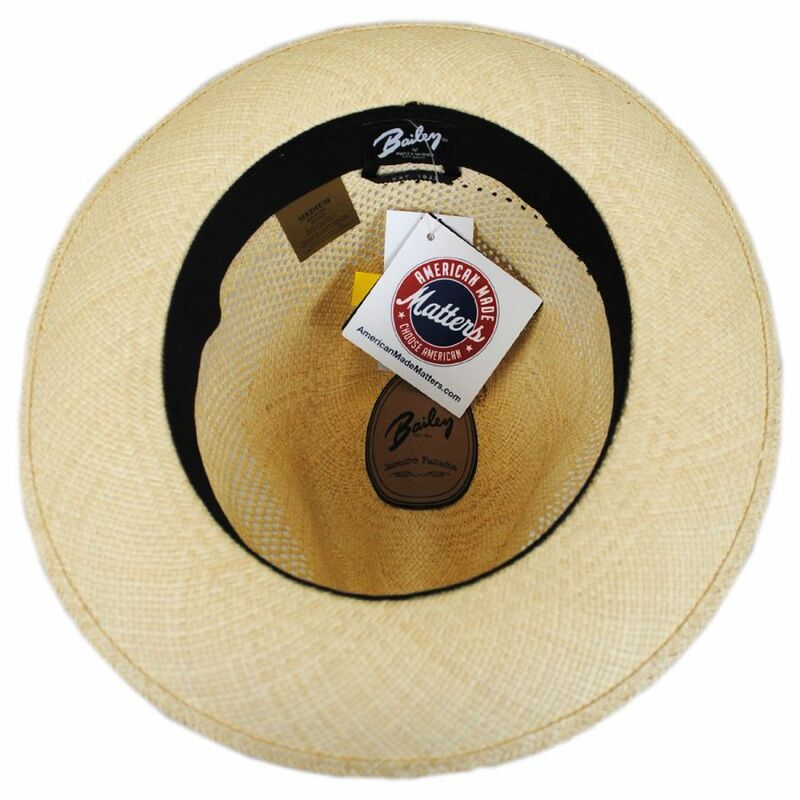 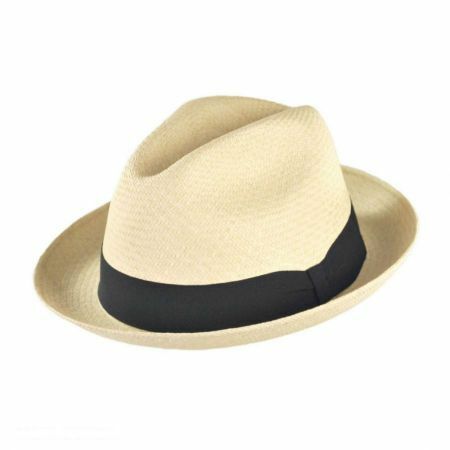 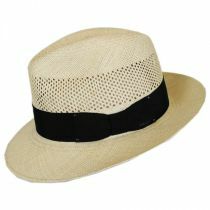 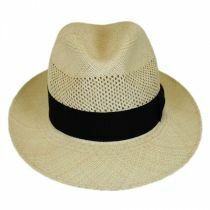 The Groff Vent Panama Straw Fedora Hat is a fresh new look from classic American hat purveyor, Bailey. 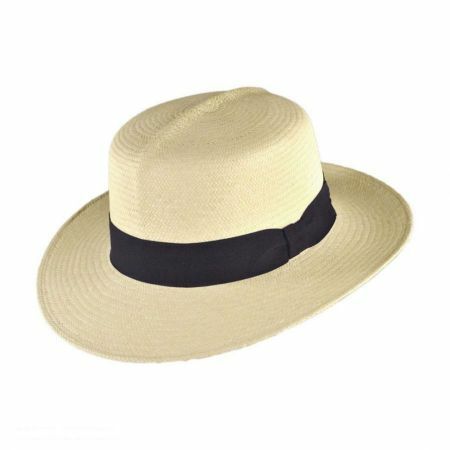 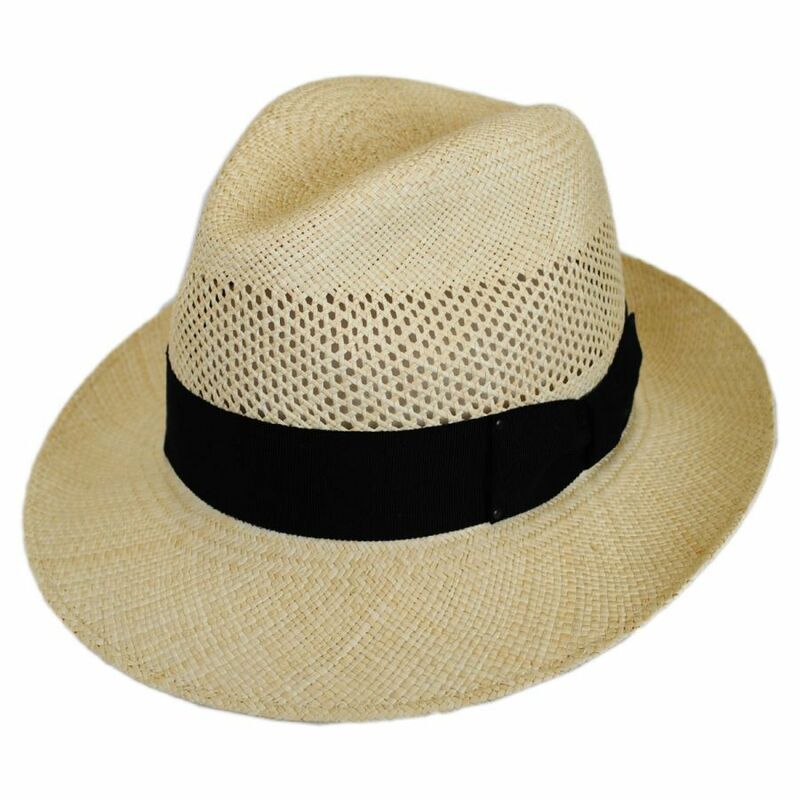 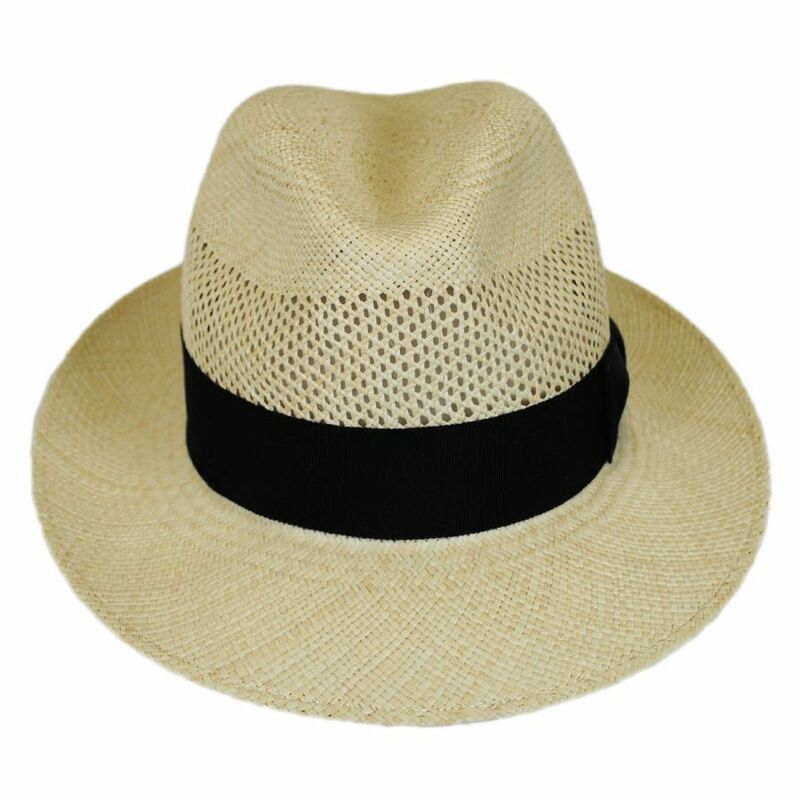 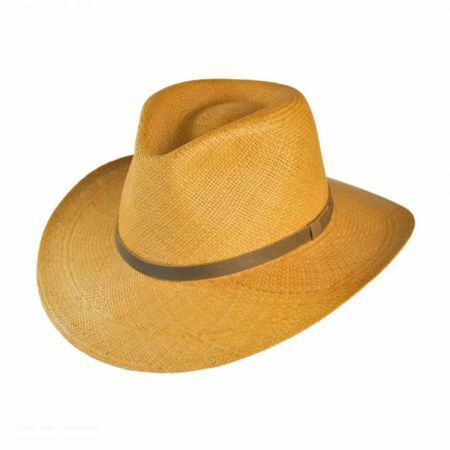 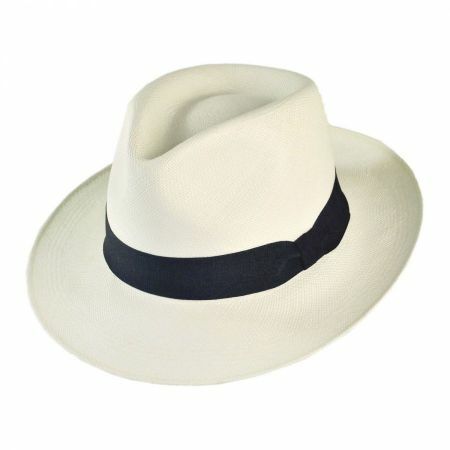 Featuring a genuine panama straw hat body handwoven in Ecuador, the Groff is blocked into a classic pinch front crown fedora hat style and expertly finished in the USA. 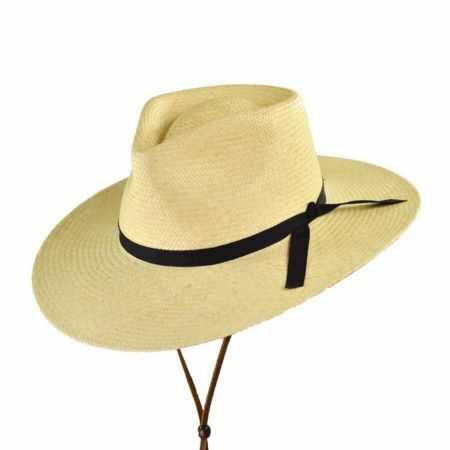 Trimmed with a traditional black grosgrain ribbon hat band and side bow, Groff's underwelt brim can be worn either up or snapped down for a timeless fedora look. The stylish, breathable vented weave along its crown allows the Groff to easily navigate both dress and casual spring/summer wear.